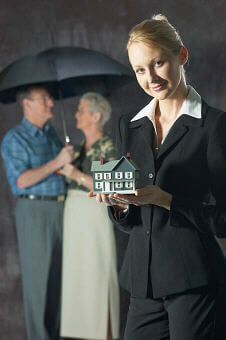 Are You Looking for the Best Insurance Agency? We can help you find the best insurance options when looking for Amberley Ohio insurance and all of the surrounding areas of the Greater Cincinnati area! We are a leading independent insurance agency based in Blue Ash and you may reach us by calling 513-662-7000 or use our online rate quote system when you need car and home insurance quotes in Amberley Ohio. Click on Pathway Quotes and in 5 minutes or less you will find the top 10 companies offering insurance in our area. Why You Must Verify Your Coverage? When you are looking for different insurance options, occasionally consumers may purchase insurance and later regret that decision for a variety of different reasons. In a series of eight different articles I will share with you some of the pitfalls that consumers face when purchasing insurance, no matter if its auto, home, life, or business insurance. I’ll refer to the insurance representatives in terms that best describe their actions. For instance in the following articles we will talk about Sam the Scam, Marvin Mayhem, Wet Willie, I’m not on your side Clyde, Small claims are great Nate, Wanda or Waldo the One-Hit Wonders, I’m getting the Runaround Ralph, and helpless Hal or Sassy Sally. Regrettably in most instances it’s only after you purchase insurance that you will later learn the true identity of the insurance agent or company you purchased insurance from! My name is Jack Thomas and I and my wife Emily own Pathway Insurance. I have been a licensed agent for more than 20+ years and we can help you with your insurance needs in all 50 states. Let’s get right into our first story about Sam the Scam. Who is Sam, the Scam? If you are not careful, this insurance agent may not provide quotes to you for the same coverage limits, or deductibles you have right now in hopes that you won’t notice! Appropriately I call this insurance agent Sam, the Scam! Naturally we asked our client Paul if this new agent had quoted the same coverage limits and deductibles he had with our company. Paul said he thought so I mentioned it would be good idea to double check and we offered to do that for our client. Paul e-mailed us a copy of the declaration page from the new company. After reviewing his new coverage limits that he had just purchased from Sam the Scam, we discovered Sam the Scam was only able to sell his low priced car insurance policy by reducing our client’s coverage limits by 8 times, to the state minimum levels!! While it is true our client saved money on his car insurance policy by using Sam the Scam, he did so by using deceit by increasing his deductibles and substantially lowered his coverage! Not really a good deal for our client Paul was it? Sam the Scam obviously committed this act intentionally to earn a commission and our former client did not discover the deception because he did not review his coverage page! For illustration purposes only we matched what the other agent quoted and our car insurance rate was $200 lower compared to Sam the Scam. By the way, before you ever take the step in lowering your liability limits, you need to ensure the coverage is adequate for your needs. Otherwise you might be setting yourself up for a big financial loss down the road. Fortunately our client Paul quickly came to his senses and dropped the policy provided by Sam the Scam after learning that he was bamboozled! What is the Moral of This True Story? When you are shopping for the best prices on insurance take time to make sure the comparison is apple to apple. Don’t get scammed by Sam the Scam, the insurance man whose only real interest is making you his next sale. For fast online auto insurance quotes, click: auto insurance Amberley or home insurance Amberley. Or give us a call at 513-662-7000 or toll-free 1-800-998-0662.